Hello and welcome to the Right for Childhood fundraiser page! Here, we support the programs and services provided by the charity Palestine Children’s Relief Fund (or PCRF for short). The charity does amazing work with children in need in Palestine who have suffered due to the conflict in the area. The organization strives to help children in the Middle East regardless of politics and religion, and is fully transparent about all their operations, as you can see in their IRS form 990. The PCRF has already screened and treated hundreds of children and will do great things with donations given to them. Read the story of Izzeddin, a 15 year old boy who was shot in his leg and is now receiving treatment for free thanks to the PCRF. 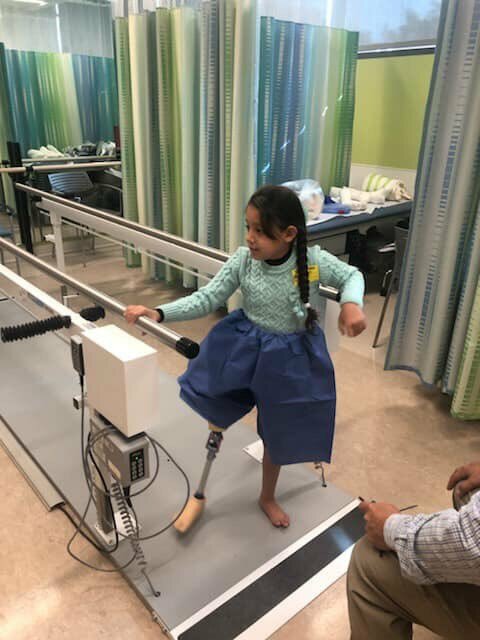 Your donations will go to help children like Rimas and Lamis, who are currently in LA having a new leg built. Their dad was killed in 2013 when he went back to their home to get them clothes during the Gaza war. Any donation will be appreciated, and we hope to reach our goal of $20,000 with your help! No amount is too small. Thank you for reading, and even if you can’t donate, please look for ways to still get involved! The PCRF is a legally-registered non-political, non-profit, 501(c)3 tax-exempt organization established in 1991 by concerned people to address the medical and humanitarian needs of Palestinian and Arab youths in the Middle East. We have provided thousands of children life-saving care based on their need, not on religion, gender, nationality or sect. The main objective of the PCRF is to identify and treat every child in the Middle East in need of specialized surgery not available to them locally. We locate, sponsor and run international, volunteer medical missions to the Middle East, in additional to locating free medical care abroad for children who cannot be adequately treated in the Middle East. 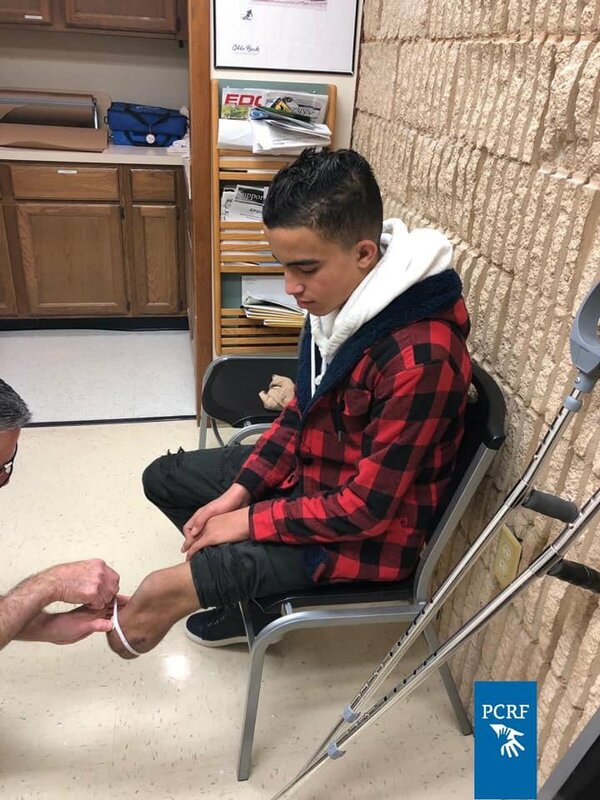 The PCRF is the main organization regularly sending injured and sick Arab children to North and South America, the Middle East and Europe for free care that is not available to them there. Since 1991 over 1,000 children have been abroad for millions of dollars of donated care, and over 10,000 have had complex surgery by our visiting medical missions to the region. The PCRF has been awarded the top 4-star rating by Charity Navigator for fiscal management, while being able to treat more kids than any other charity in the Middle East. Eli Gerzon 04/18/2019 $36.00 Thank you for the work you do. Sarah Gertler 04/09/2019 $18.00 Sending love to all of the Palestinians, from an American Jew. Politics are changing and we're advocating for you. Anonymous Friend 04/08/2019 $20.00 Good luck! Josh Veal 04/06/2019 $69.00 This is from Henry Kissinger Is Pokemon GOing To Die, the podcast. Thank you SO much to LegitTayUpdates for coming on the show and being very funny and spreading the good word. Grace Millar 04/05/2019 $40.00 Your joy and struggle gives me so much hope - solidarity and love. Meredith Ives 04/05/2019 $20.00 Love what you’re doing with your unexpected platform! Free Palestine!